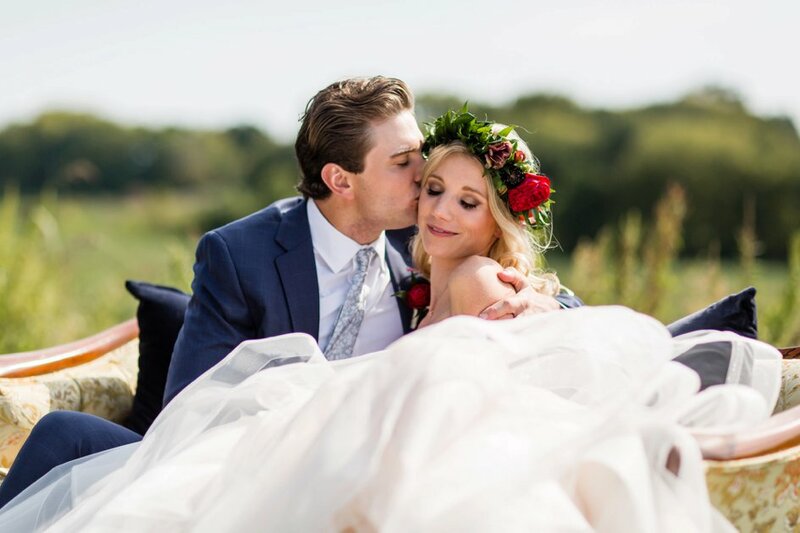 Courtney and Blake were married on the bride's family farm, complete with maple trees, open fields and a classic red barn. 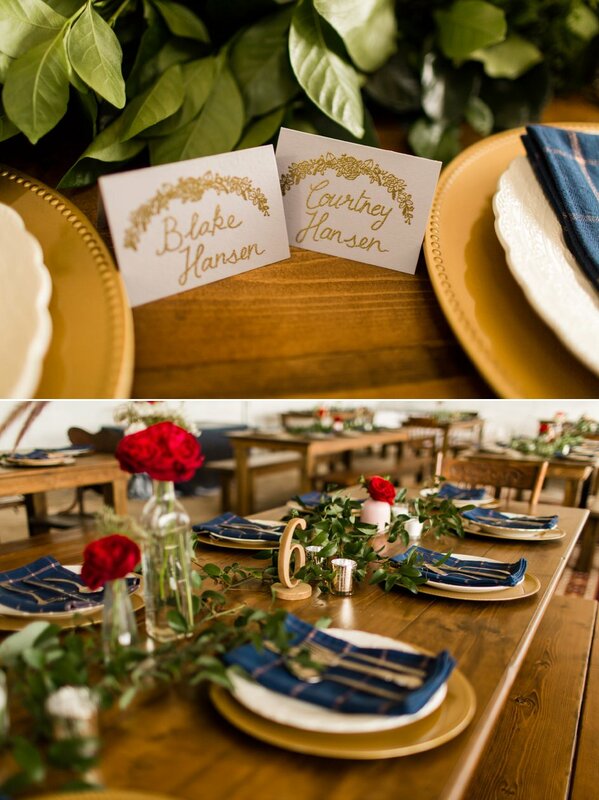 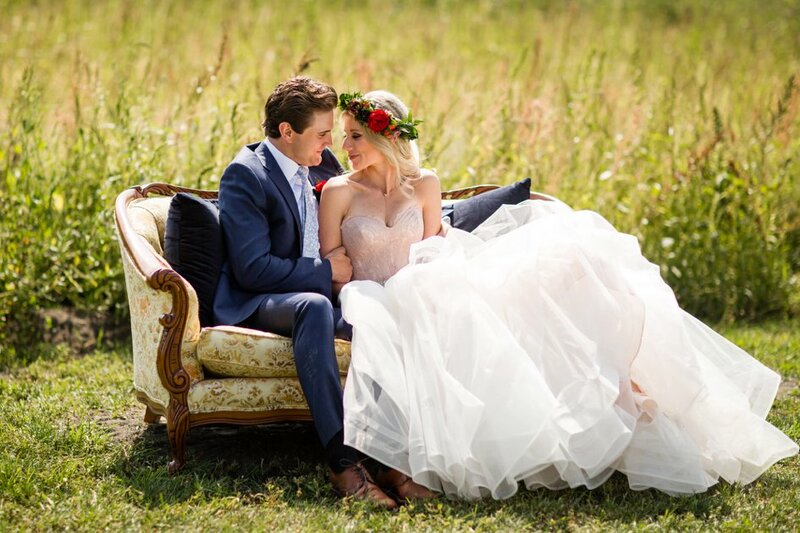 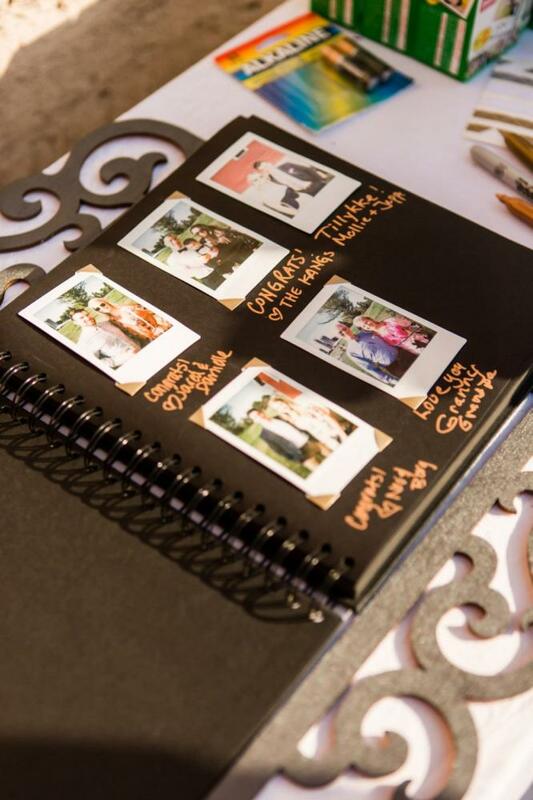 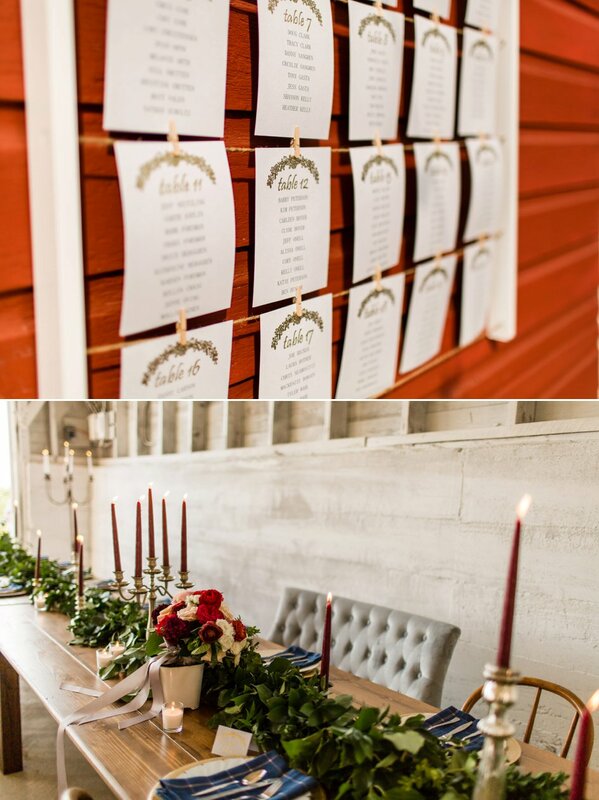 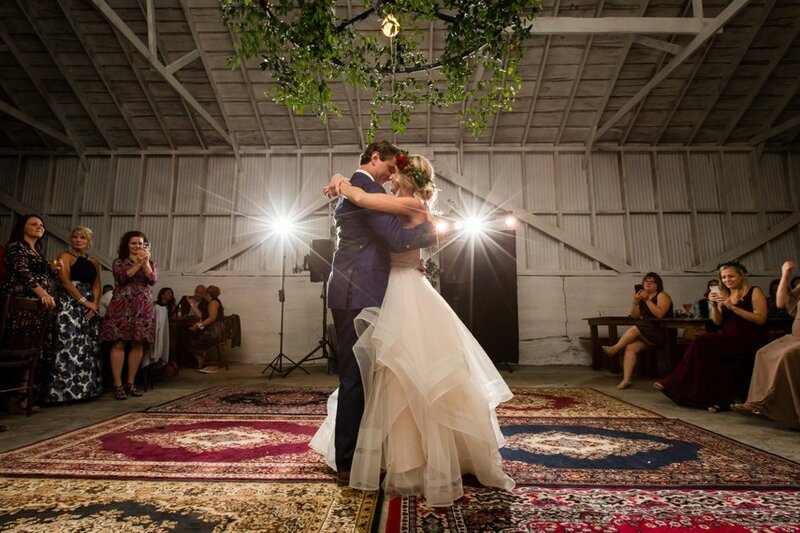 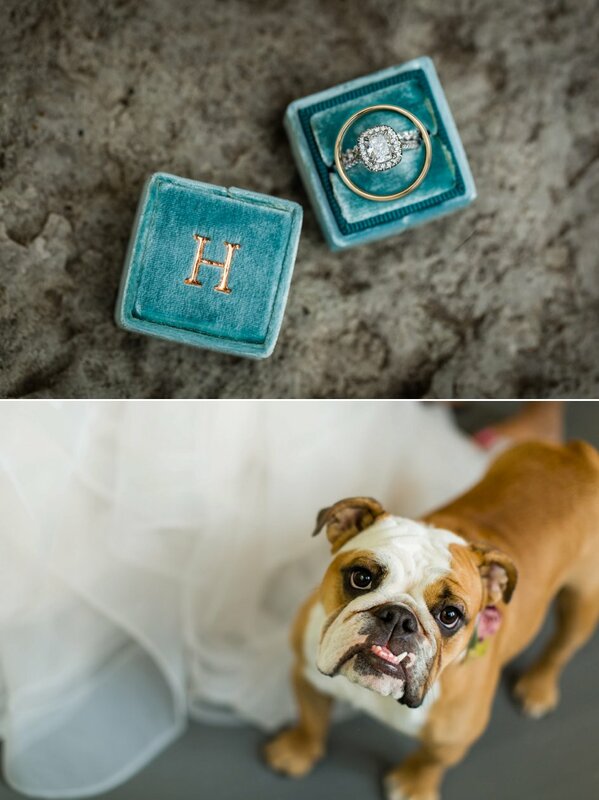 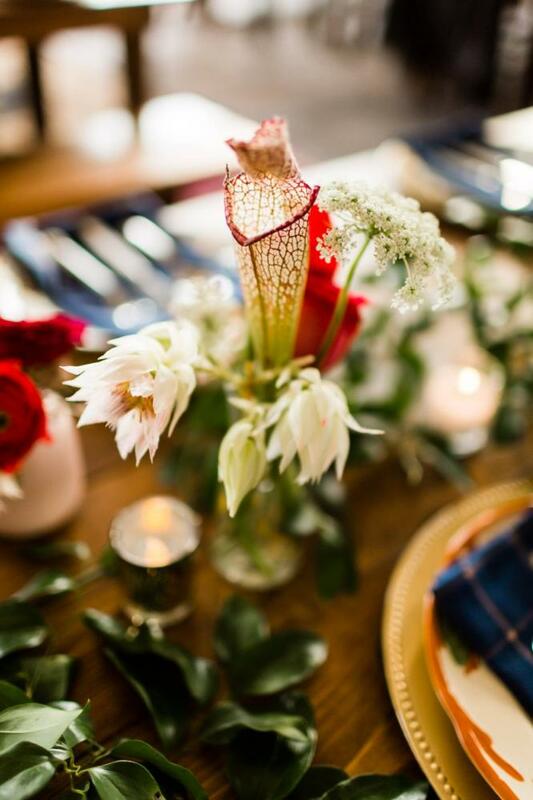 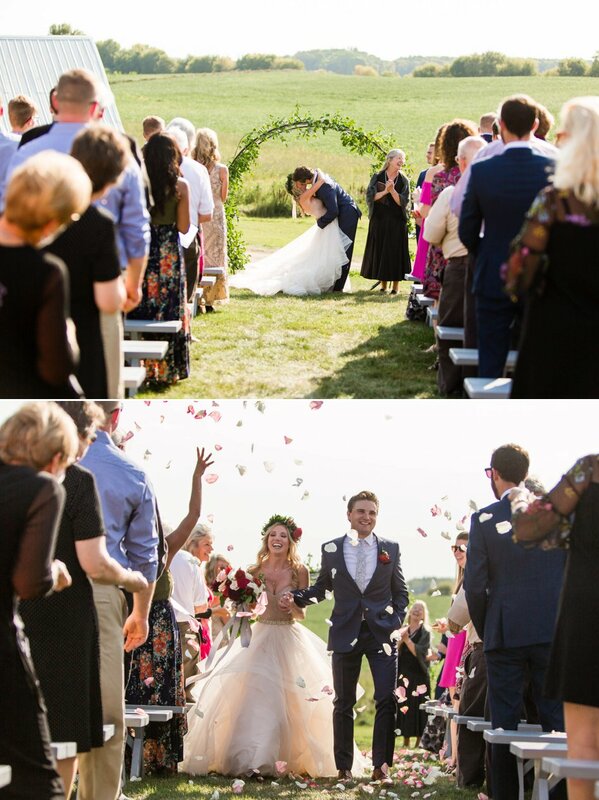 The couple created a stunning mix of relaxed country vibes and elegant details. 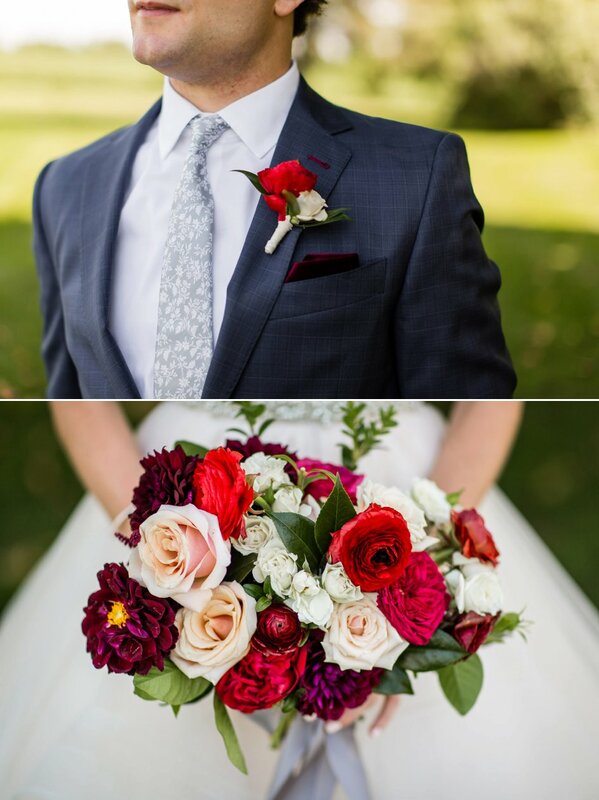 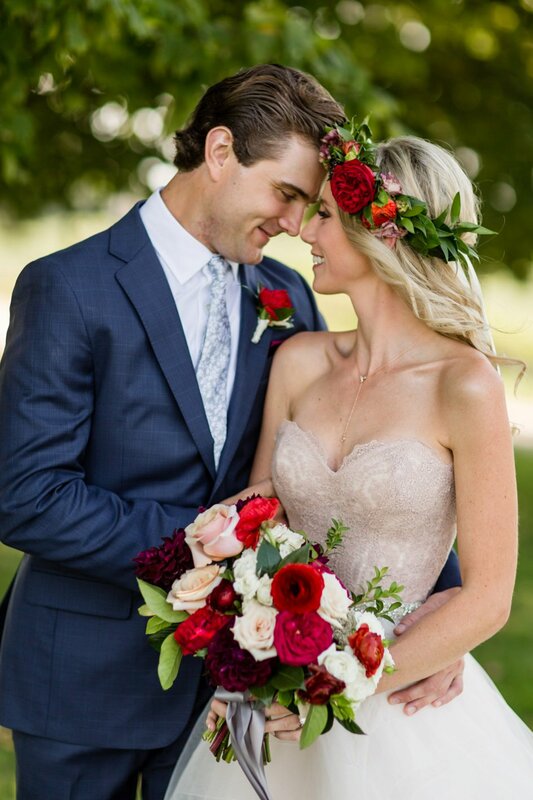 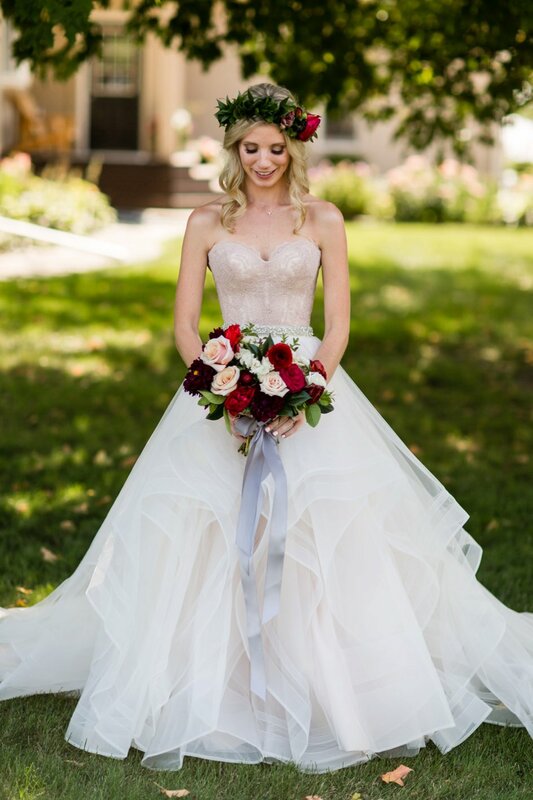 Light-pink florals were mixed with pops of scarlet and jade to make the fresh bouquets, as well as a lush flower crown for Courtney. 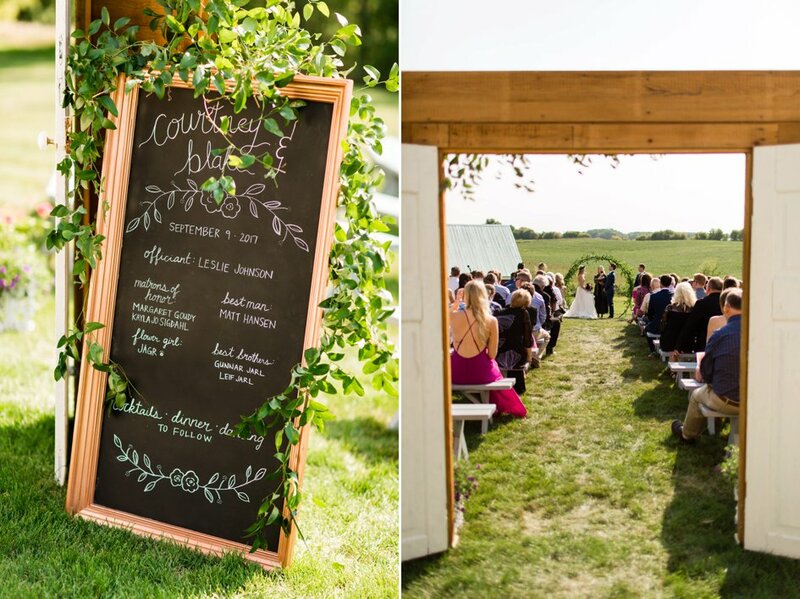 After the ceremony overlooking the fields below, guests headed to the barn for a cocktail hour and yard games. 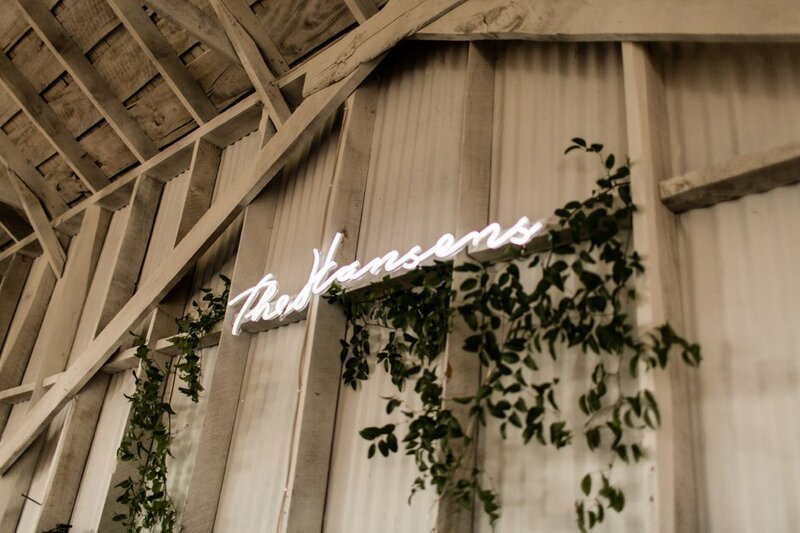 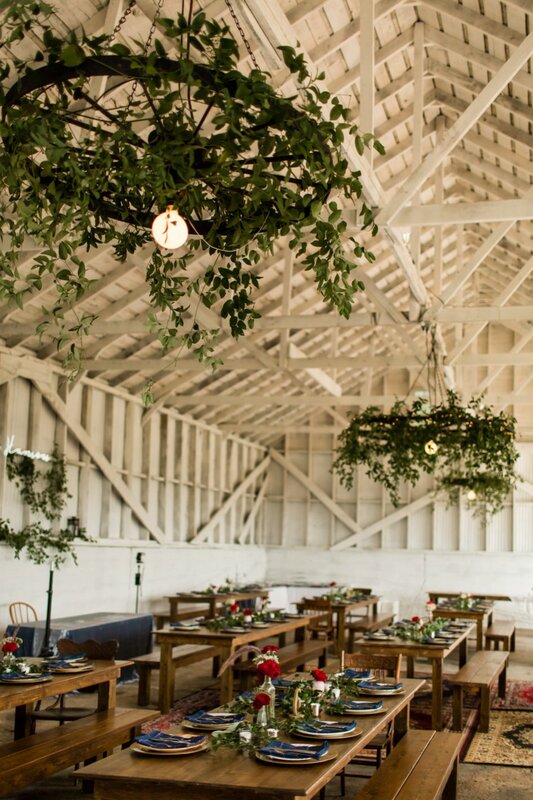 For a modern feel, the inside of the barn was painted a clean white, highlighting the greenery-covered chandeliers and warm wood tables. 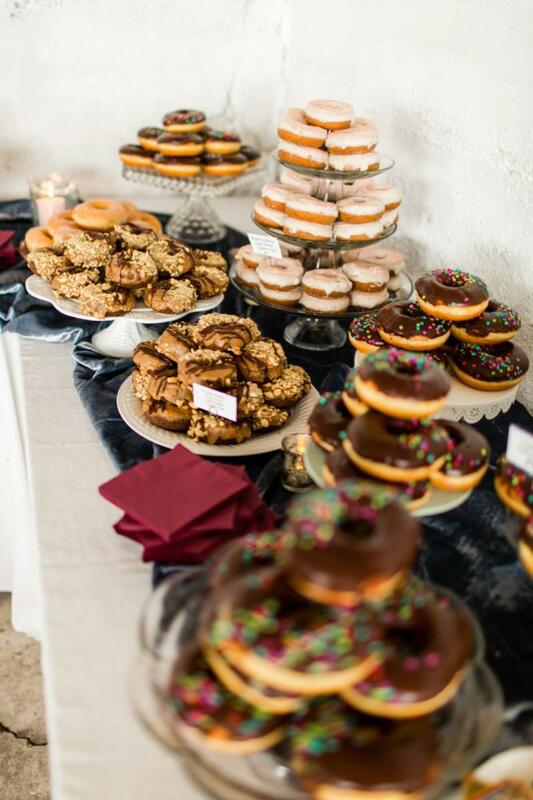 For a late-night treat, everyone gathered to pick their favorite donuts from the towering donut bar. 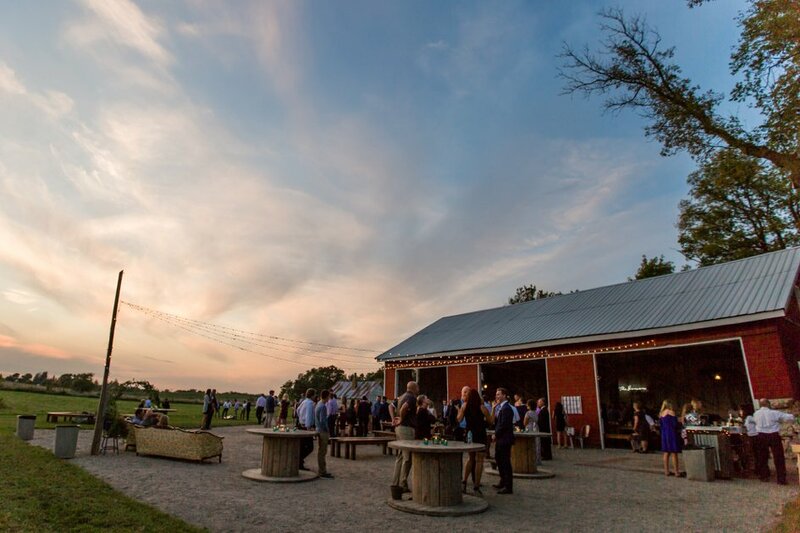 The partying continued late into the night with guests dancing and gathered around fire pits as the evening fell.